The Hospital is easy to reach by car, bus, taxi or by foot. The Hospital has a large parkinglot especially for all visitors. The Dr. Horacio E. Oduber Hospital is extremely easy to reach with public transportation. 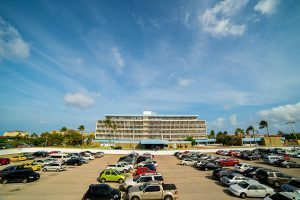 From downtown Oranjestad, buses 10, 11, and 12 regularly drive by the Hospital. For more information regarding the bus schedule please visit www.arubus.com.